Researchers at the University of Southampton have found that men still occupy the vast majority of key production roles in the UK film industry. The Arts and Humanities Research Council funded project Calling the Shots: women and contemporary film culture in the UK has found that only 20 per cent of people working as directors, writers, producers, exec-producers, cinematographers and editors on films in production in the UK during 2015, were women. It also reveals that of all British films in production in the same year, 25 per cent had no women at all in any of the roles. Women are under-represented across all six key production jobs, comprising only 13 per cent of directors, 20 per cent of screenwriters, 27 per cent of producers, 18 per cent of executive producers, 17 per cent of editors, and disappointingly only seven per cent of all cinematographers. The study also shows that of those women who are working in production roles, only seven per cent were of black, Asian and minority ethnic (BAME) identity. This makes BAME women less than 1.5 per cent of all key personnel on UK films in production last year. The low percentage of women directors revealed by the study supports the findings of the recent reports on women directors in the UK conducted by both Directors UK and the European Women’s Audiovisual Network. Calling the Shots’ research extends the analysis of gender inequality to show that women are vastly under-represented across key production roles throughout the UK industry, making it the most comprehensive report to date. Women producers fared best in the figures, though only reaching the heights of 27 per cent. Films with women producers are more likely to have at least one other woman in one of the other key roles – yet 43 per cent of films had no women producers at all. More troubling is the finding that, across all six roles examined, women of BAME identity made up less than two per cent in each category. In fact, of the 13 women who were cinematographers on British films in production during 2015, not one was of BAME identity. The report was launched at ‘Calling the Shots? Counting Women Filmmakers in British Cinema Today’, an event at the BFI Southbank with a panel that included representatives of the British Film Institute, and the membership organisation Women in Film and Television, UK, as well as the filmmakers Gurinder Chadha and Hope Dickson Leach. The event attracted audience members from the film industry, film journalism, and the movie-going public. 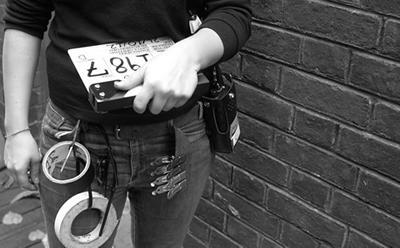 Further reports on the numbers of women working in the UK film industry will be published, beginning with the year 2003 and for each year until 2015. These reports will allow for an historical analysis of any patterns or changes in gendered inequality in this period. Shelley and Linda are also conducting 50 recorded interviews with women filmmakers working in key production roles that will be stored with the BECTU History Project after 2018.